Is This Your Baby’s Birthday Month? Birthday is a special day for everyone no matter the age group you belong to. Everyone in this universe gets equally curious about her birth day, and why won’t one be when you get so much importance on that one single day. As soon as the clock struck twelve, you start getting calls, texts and lucky few do gets friends at their doorstep with cake and balloons. We being in the age group of matured one might compromise with the celebration but one just cannot expect a young one to suppress her desires. Your little princess holds all rights to have a great celebration and we know you want to have one for her too. Well, often we do get confused about what to do? How to do? Especially when we have ample of options and no one to help to. Thank god you have us! We are always there for help, see how much we care. So here we are with an amazing kids party dress which you can gift your little diva this birthday to attract all the wishes and stares in the venue. 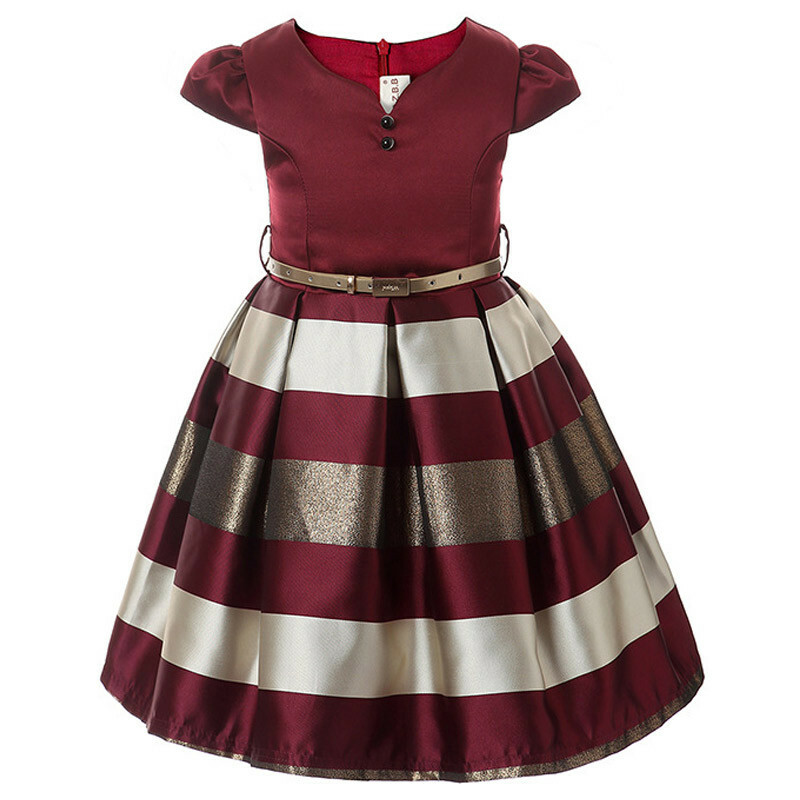 This shades of wine kids party frock is one amazing piece we have for your little girl. This is beautifully dyed win the combination of wine and some shimmer on the pleats. The shimmer this dress holds is perfect for any party and then it is her birthday, she needs to glow. This dress has broad pleats with horizontal stylish lines on the pleats and the glittery ones is adding the charm. We assure your baby girl will slay in this dress and will love you more than before. Not only this, the dress to has a stylish belt to give a proper fit. So there’s no chance that you will get a complaint of ill fitting. It has stylish mega sleeves and the embellishment on the neck gives this dress a unique look. Overall this is a piece worth to have. For more fit and comfort it has a zip closure. The next problem that you need to fix after having a dress is to have a footwear along. Well, the good news here is you do not have to go anywhere else for it, we have it all under a the same site. We have a perfectly matching Cujos Baza Kids Fashion Scandals. They are super comfortable and light. It is dyed in pretty rose gold color and is made in faux leather. These sandals will perfectly match the outfit we have showcased above. So here you are all set with the perfect birthday gift for your little princess. She will look just amazing wearing both the dress and the footwear. Hope she has an amazing day. Happy Birthday to your princess from our side! The post Is This Your Baby’s Birthday Month? appeared first on Baby Couture India.